Yes, I know, nose bonks and all. Put brush down now. I don't think Rory stands a chance here. I admire his spirit, but look at those beautiful tresses. This scene has been enacted before, and Melissa obviously carries the day on a regular basis. Hmmmmm, I wonder what happens next? Perfect as is. No brush needed! 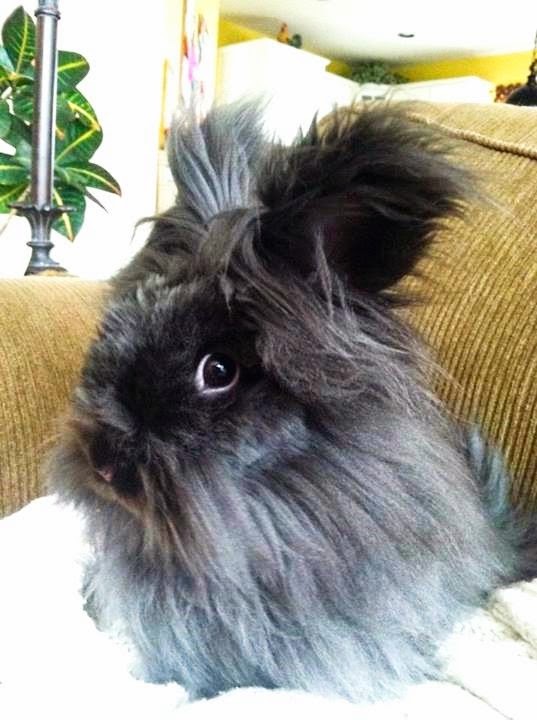 What a fabulous lionhead! I know from experience just what the spark in his handsome eye means. Melissa had best be fast with a brush, or have a medicine cabinet full of band-aids! I just squealed in delight. Really! There ought to be a warning when somebun's photo is cute beyond comprehension.